PREMIUM WEBSITE: This package includes a full website of up to 8 pages of moderate complexity. It will be handcrafted and will meet the latest standards for accessibility, usability, and search engine friendliness. 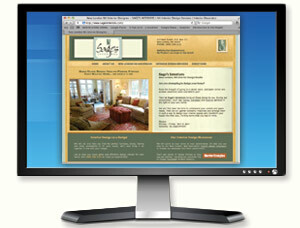 Each of your premium web pages will essentially be a full page advertisement for your business. You can list products, demonstrate your expertise, and highlight what sets you apart from your competition. Establishing your professional online presence will also add a tremendous amount of credibility to your company's image. You will also be able to answer questions 24 hours a day. Our premium design package will give you that credibility at a reasonable price.